DAYS AFTER millers in Maharashtra decided to pay part of their cane dues to farmers in form of sugar, farmers’ outfit Swabhimani Shetkari Sanghatana has agreed to the proposal. Sanghatana leader and MP Raju Shetti said farmers will soon write to the mills, expressing their willingness to accept the deal. By the end of January, sugar mills in the state owed over Rs 4,000 crore to cane farmers in unpaid dues. Earlier this week, sugar millers, particularly those from the Sangli-Kolhapur belt, had decided to pay a part of their Fair and Remunerative Price (FRP) in form of sugar. 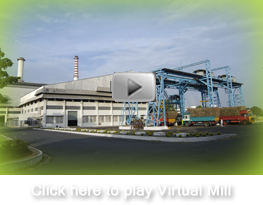 Most mills, which have only paid 80 per cent of their FRP till now, have decided to pay the remaining amount in sugar. Speaking to The Indian Express, Shetti said, “We will be writing to mills in this regard,” adding, “we are ready to sell it at prices that are lower than current ex-mill rates, of Rs 2,900 per quintal…” The farmers are also ready to pay some rent amount to sugar mills.